Hey Everyone! I hope you’re having a great week. I seem to be on a breakfast kick lately. I hope you don’t mind. 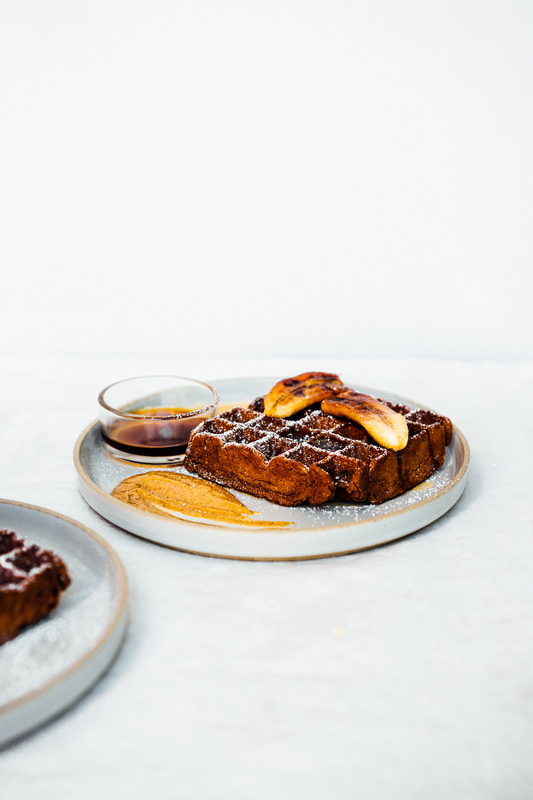 I’ve got the recipe for these decadent chocolate espresso waffles with caramelized bananas for you today. They’re gluten free and almost vegan and so rich and moist and delicious. Enjoy! Combine all the ingredients in a blender and blend on high for 30-40 seconds, until completely smooth. 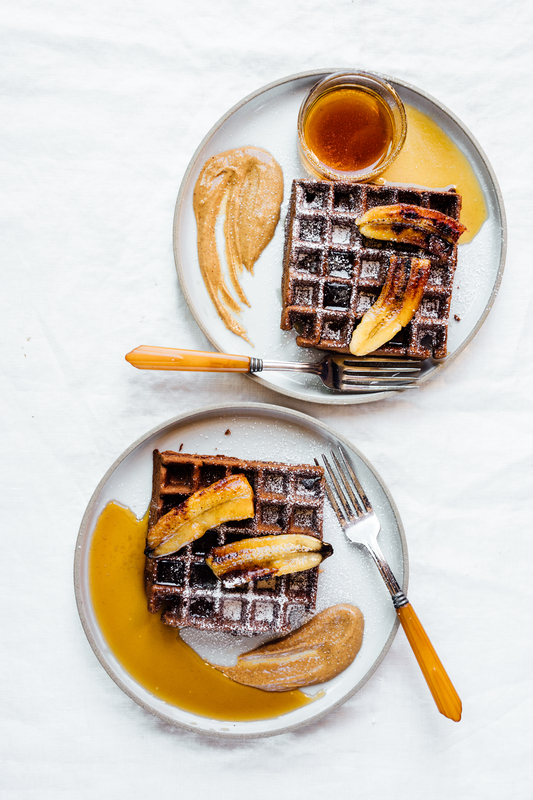 Preheat your waffle maker then lightly grease with coconut oil. Scoop a heaping 1/2 cup of batter into each quadrant of the waffle maker and close the lid. Cook for 2-3 minutes minutes or until the waffles are crisp. Repeat with the remaining batter. Heat the coconut oil in a large skillet over medium heat. Add the bananas, cut side down, and fry for a few minutes. Meanwhile stir together the honey, cinnamon and vanilla. Drizzle the spiced honey into the skillet and allow it to bubble and coat the bananas. Cook for a few more minutes until the bananas are golden brown, then remove from the heat. 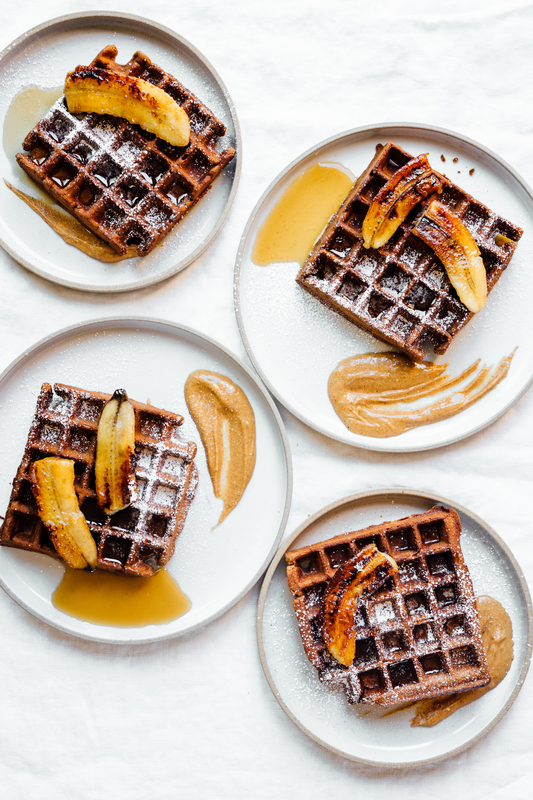 Serve the waffles topped with the caramelized bananas, peanut butter and maple syrup.